Andrea Ruedi originally served as Fox Development Corporation Chief Operating Officer and Chief Executive Officer from 2004 to 2009, then rejoined as CEO in October 2013. She also acts as Managing Broker of Fox Development Corporation, LLC. Between 2009 and 2013 she served as Deputy Director of the Illinois Center for Transportation at the University of Illinois at Urbana-Champaign, a research center at which she was responsible for strategic planning and business development. She also managed its $30 million research program. 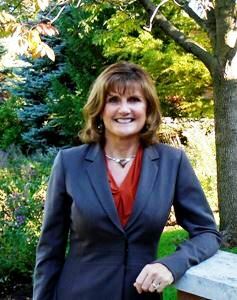 She has as well previously worked at Science Applications International Corporation, as its Director of University and Corporate Relations, as Senior Vice President of Marketing for a $34 billion bank holding company, and at non-profits including the Champaign County Chamber of Commerce and the Champaign County Alliance. Ms. Ruedi holds B.S. degrees in Business Administration and Sociology from MacMurray College, and an Executive MBA from the University of Illinois.